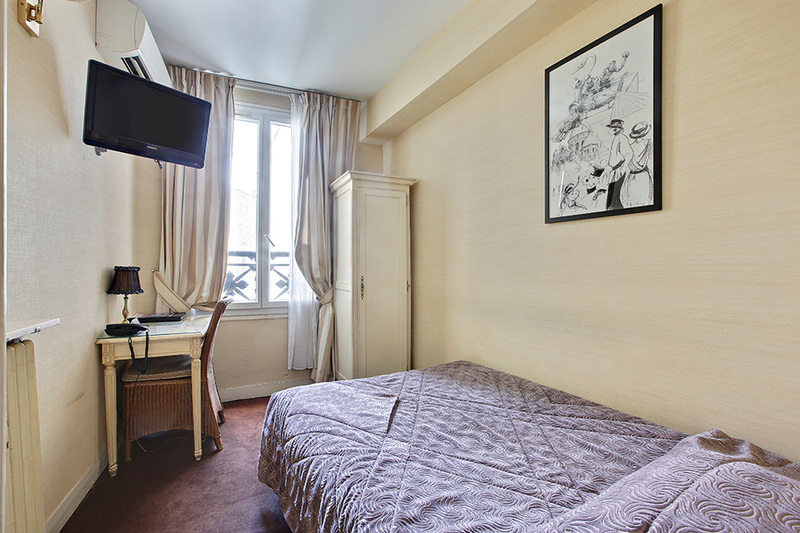 Ideal “pied-à-terre” for your professional stays, our business rooms offer all the necessary comfort to allow you to relax at the end of the day. You will have a free WiFi connection, cable TV and a patio. Perfectly soundproofed, they promise you calm and relaxing nights. 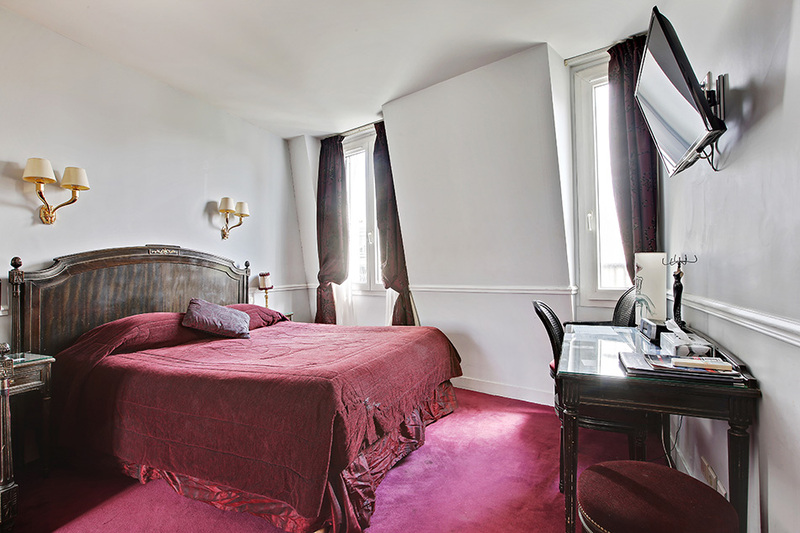 Our “classic double” rooms are perfectly suited for a romantic getaway in Paris. You will enjoy quality bedding, a cosy setting and all the necessary equipment to rest after a beautiful day of visits. 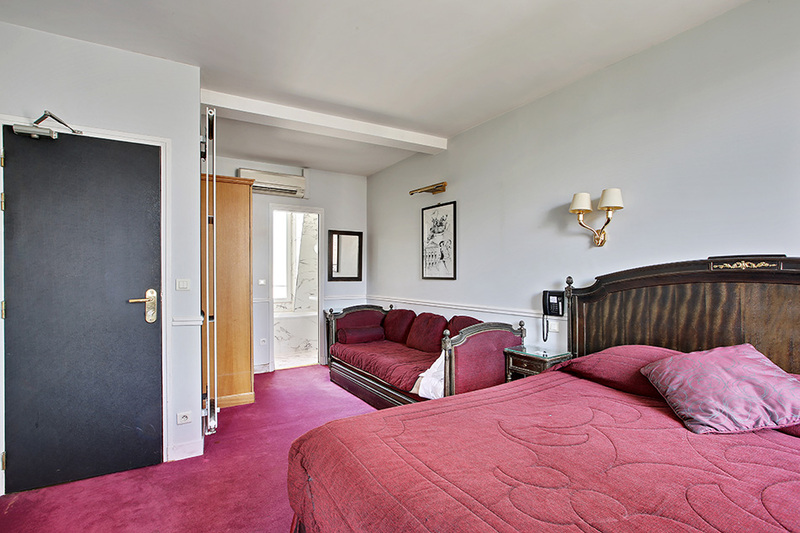 Each room is soundproof and has a beautiful view of the garden or the rooftops of the capital. With a surface area of 18m2, the triple Parisian room will seduce couples with a child, friends or those who simply want more space. Perfectly soundproofed, this room has a double bed and a sofa bed. When you open your window, you will have the pleasure of contemplating the hotel’s garden or the view of the rooftops of Paris. 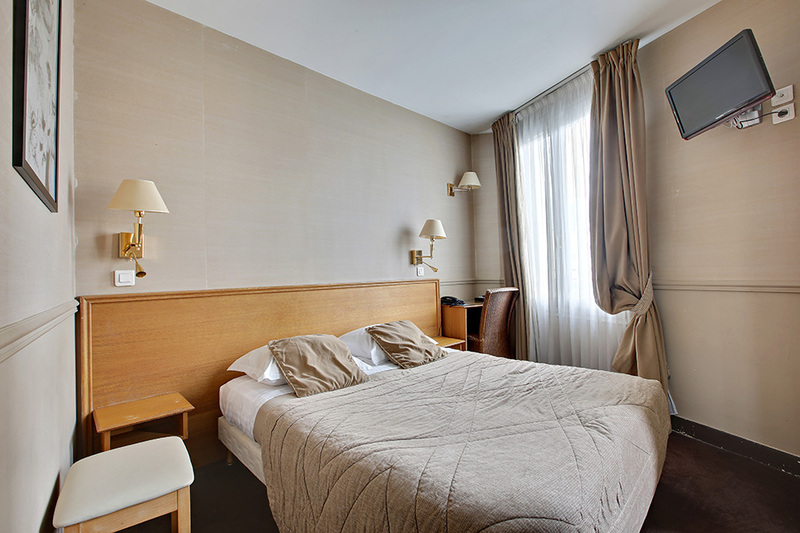 A generous space, top-of-the-range bedding and a neat decoration: our “deluxe double” rooms will be perfect for a stay in Paris without false notes. 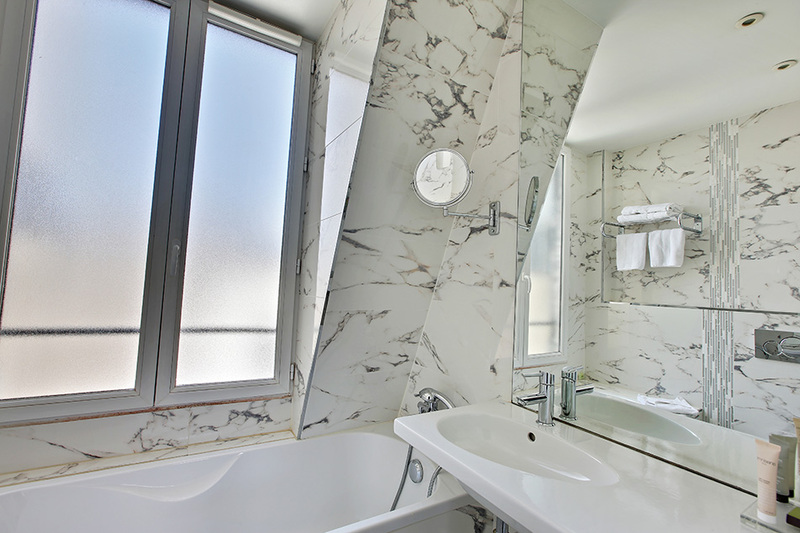 You will discover the Parisian way of life and a captivating view of the capital in an elegant setting.